Greens understand the statement "Handle With Care." Our removals division has been handling the most precious of items; priceless personal effects for 38 years. In order of priority, after family, the most import effects are those of your business. Moving your your exhibition freight to a trade exhibition can quite literally be the making of your company; ensuring continuous employment for your employees and the provision of tailor made quality services or products for your customers. Richard Dolan, Greens Managing Director, has been involved in moving exhibition freight since 1988 and has almost… been everywhere! We have not only transported exhibits worldwide, we have been to most of the major exhibition centres in the world to service our client's requirements. 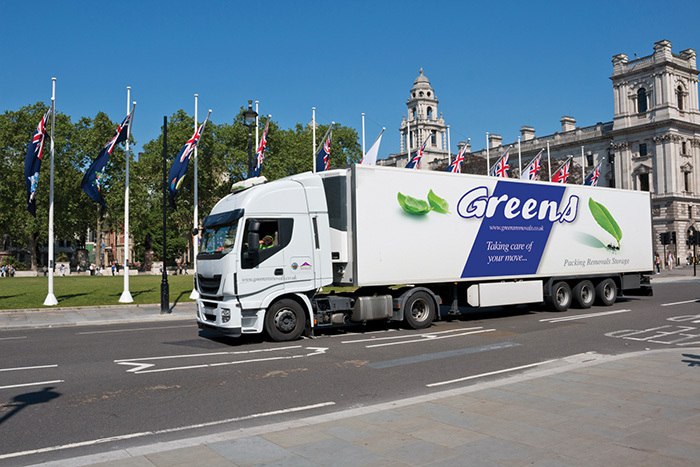 Handling British and European trade groups, to single exhibitors - from every industry sector, Greens can offer your company piece of mind and a cost effective solution for the transport of your exhibit material.